As a continuation of our posts on industry trends after our recent piece on mining, we have prepared a new post for Power and Utilities. We are looking to massively expand our P&U section in the upcoming weeks with more content on topics such as project finance and debt sculpting as renewables have been a hot industry as of late. Stay tuned! Power generation is one of the most dynamic industries at the moment, the most noticeable current change being the expedited decline of coal as an electricity source. Despite efforts by Republicans such as President Trump to bring back coal jobs, the attractiveness of coal for most developed nations has dwindled. This is due to three primary reasons. One, the rise of environmentalist sentiment decrying coal as a dirty fuel and subsequent regulation curtailing the use of coal as a fuel source whether by banning it entirely (although it is phased out to a ban over time instead of an immediate moratorium) or by implementing heavy Pigouvian taxes that incentivize reducing carbon dioxide emissions. Two, the abundance of natural gas in Canada and the United States (who previously planned infrastructure in anticipation of becoming a major gas importer, hence all the regasification terminals being built for LNG intake; many of these regasification terminals are being converted to liquefaction terminals) due to the markup of reserves in both countries due to advances in fracturing (fracking) technologies making previously uneconomic natural gas extremely cheap to extract. Natural gas power plants have different characteristics than gas plants and have been well positioned to take on the new gas supply, as many plants can be immediately fired up and have low fixed costs. The third is the exponential growth of renewable power. Hydroelectric dams have been widely used as base load power for a long time. However, other forms of renewable energy (wind, solar, thermal), once seen as fringe sources existing only because of subsidy, have become economic even without subsidy (depending on the jurisdiction). For areas with high amounts of “fuel” (sunny and windy areas), renewables can provide extremely cheap sources of electricity. This is beyond the marginal cost of electricity (critics had previously derided the all-in cost of purchasing wind turbines and photovoltaic panels), as PV panels and film have fallen to extremely low prices and the efficiency in converting the sun’s rays into electricity has skyrocketed, partially due to extreme Chinese innovation and non-market dictated overcapacity. These trends should continue pushing wind and solar further down the cost curve (all-in), eroding the attractiveness of using traditional fuels. Coupled with the advancement of battery technology for storage (neat things being experimented with using Vanadium and other elements), we may eventually move to a carbon-free grid (although not soon enough for an aspiring power professional to not understand coal and gas dynamics). 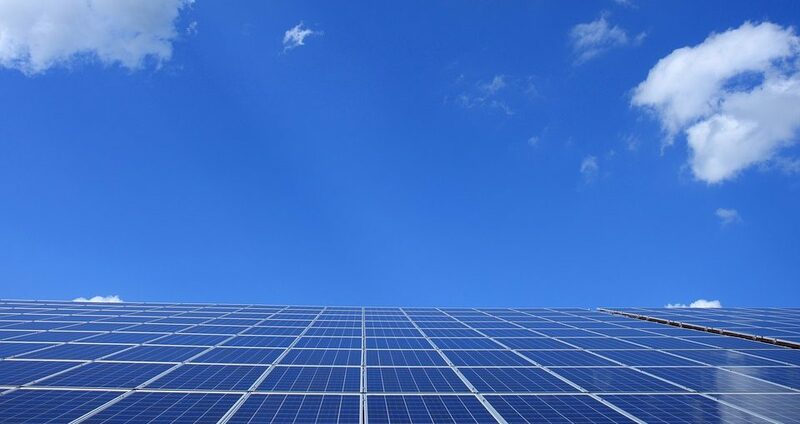 With solar panels on the roofs and now entire solar roofs as marketed by Tesla, we may see increased disintermediation of generation and end user, which may make certain generators obsolete and change the grid network so it becomes more local and pragmatic with connections. For areas with higher power costs, this may also mean cheaper power and possibly enough generation to sell back onto the grid. Relatively quiet in 2017 with the exception of Altagas-WGL Holdings, there was a rash of utilities M&A activity in 2015/2016 where a Canadian utility purchased sizeable US firms (examples including Fortis-ITC Holdings and Emera-TECO). These large M&A deals came with robust capital markets activity as acquirers took on acquisition financing (bridge loans pre-debt and equity issuance) before taking it out via large bond and equity marketing. Presumably in structuring these deals, hedging was incorporated to mitigate FX risk. Fees on M&A were also substantial and larger than the equity values would suggest – deal fees are based on Enterprise Value and utilities have substantial amounts of debt in their capital structure. The rationale for these deals were to use incremental cash flow to fund dividends, acquire assets with a higher ROE (transmission assets instead of distribution assets), diversify holdings and to realise administrative and network synergies. Scotiabank and RBC Capital Markets advised on many of these transactions.